Honorable Shri CH. Vidyasagar Rao, Governor of Maharashtra, is seen handing over the Best Public Sector Bank Award under the category of Global Business to Shri Ranjan Dhawan, Managing Director & CEO, Bank of Baroda at the Dun & Bradstreet Banking Awards 2015. 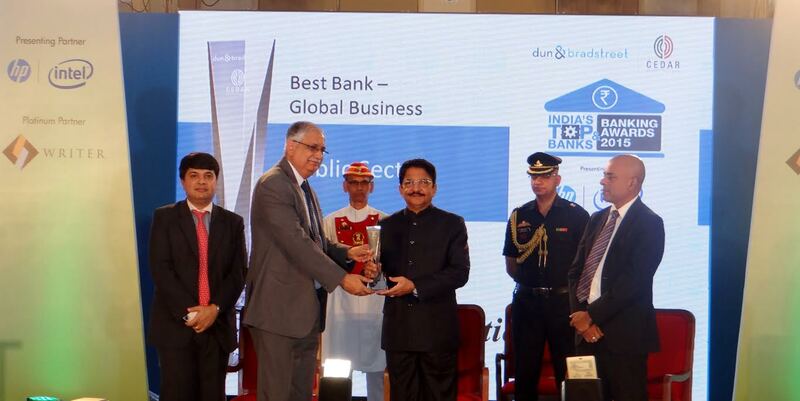 Bank of Baroda was conferred the Best Public Sector Bank under the category Global Business at the Dun & Bradstreet Banking Awards 2015. Shri Ranjan Dhawan, Managing Director & CEO received the award from the hands of Honorable Shri CH. Vidyasagar Rao, The Governor of Maharashtra on 28th August, 2015 at Mumbai.